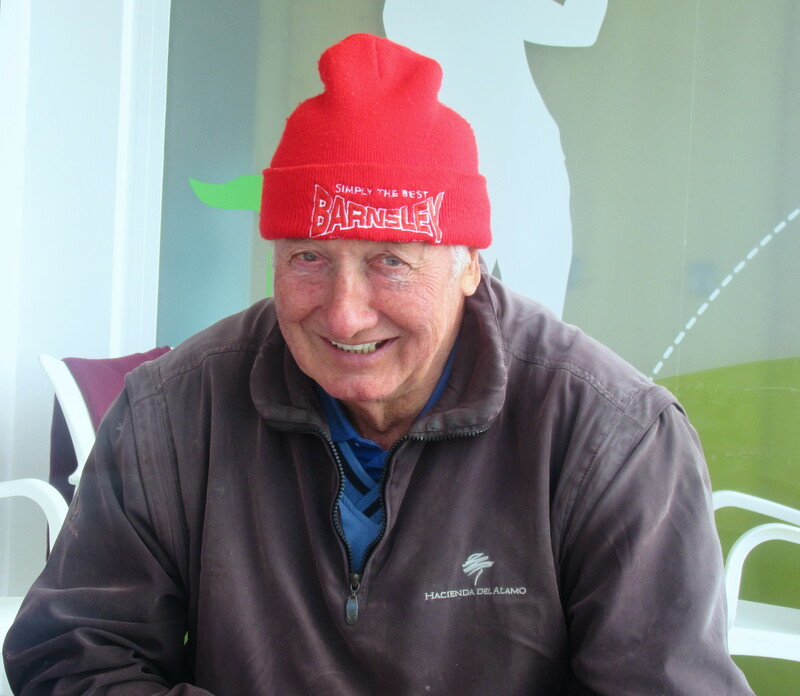 No sunshine early on and a little cold – Jeff Ruellan still had his woolly hat on in the bar…………was it really cold or was he just supporting the club of his birth? Sorry no on-course photos this week, I didn’t play. 32 players today for the last competition of 2016 played in benign conditions, no wind but fast greens. Just 2 winners of division 1 and 2 – but everyone got a wrapped bottle…………. Notice that from now only the slope handicaps are shown. The split from now is 0-19 for division one and 20-43 for division two. We cannot create a division solely for ladies but their scores will be highlighted and considered separately (assuming the minimum number of 5 is reached). Tony Andrews was the only player to beat par…………..
As I previously mentioned, we have many reports available on the system and find below 3 examples. Analysis of hole difficulty. This is for one round, but can be assessed over months. Next week is the January Apollo Air stableford. Enjoy the New Years celebrations and good golfing next year to you all. Watch out for the annual review which will be posted shortly (maybe Tuesday). This week was dedicated to Santa, with no sweep money but a present (value between 5-10€) the entry fee, so everyone at the presentation got something! Different, with the 26 men playing from the white tees and the 3 ladies from blue, which meant more shots, but greater difficulty! Also a gift from Santa, where each player was allowed a free throw if they were in difficulty (some forgot to use it!). A bit of a shock to the system, playing shots from strange places, but actually if you hit the ball well, the bunkers are out of range and the extra shots on the slope can be useful. Philip made easy work of the long course…………..
Kev set the day off with mulled wine and mince pies (by Carol)…………. Ian Whyte and Phil Cooke can’t believe that they are supposed to hit the 1st green in two……………..
Sausage Santa asks his reindeer to help his ball on its way……………. the recent rains have left their mark – they have made a new route from the back tee on hole 8………………….. But the result is that now the water levels on all the lakes have been replenished. If you want a new society shirt for 2017 see Kevin when you are next over (15€ cost price). notice the Clover logo on Chris’s sleeve? Razor blades extra………..
Next week is again no sweep, bring a wrapped bottle – singles stableford. Have posted this a day early, Christmas Day tomorrow, so have a relaxing day after you have opened all your presents! Very lucky this didn’t come Friday! I know golfers have to have their fix but no one out there Saturday! a thoroughly miserable day out there – the warmth of the golf bar was very welcome! This week 36 played in pairs, and if anyone didn’t turn up a ghost card could be selected. I cannot believe that I played 18 holes in that rain today – I always said that if it is raining when I am due to start I won’t play, if it rains later I will walk in – but because no one volunteered we finished (with a bad score I may add). If the rain had started an hour later there wouldn’t have been anyone out there, but amazingly all completed the round. A nice touch in the bar where Denise provided Jeff Ruellan with a hot water bottle – maybe that is customer service gone mad! It looks like the weather suits these nationalities – 1st place Norway, and in 2nd Scotland! Sven Erik’s quick trip over was worth while………. the lake on 13 was full on Friday – after the non-stop rain over the weekend. the others shouldn’t be far off………. Next week we are heading for the last competitions before the festive season, which are generally a light-hearted end to the year’s golf. Everyone is a winner next week, bring a wrapped gift (between 5€-10€) and Santa will hand them all out to everyone who has been good this year (not at golf!). There are just 2 places left on the awayday to Las Colinas, Monday February 6th. Click on the link below to find a special xmas message from the committee. 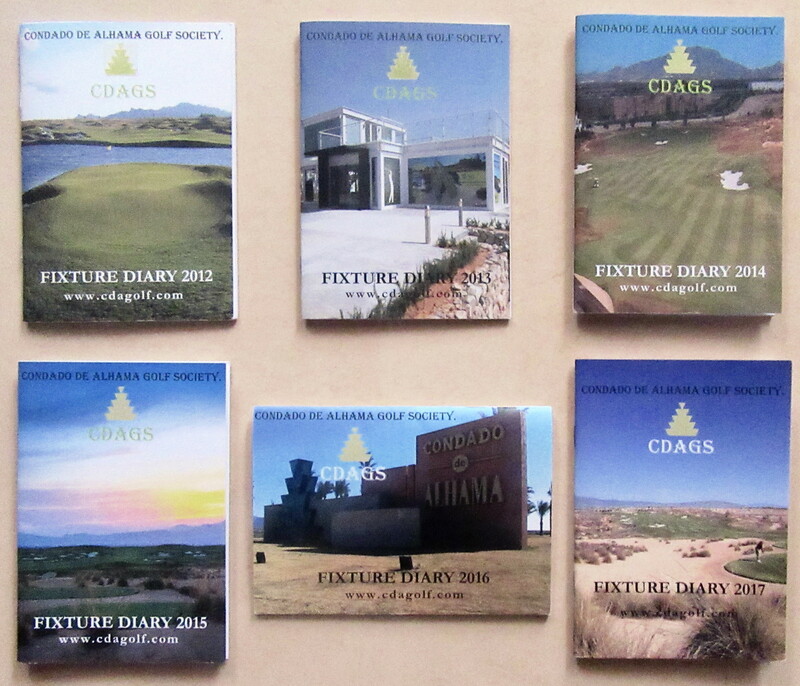 After I had finished, it said ‘save draft’ – I think we had already created one…………..
Just had a reply to our post, so click again………………..
2017 sees the 6th edition of our fixture diary and we should be grateful to Dave Lloyd, who has overseen the production and distribution of this useful (and free) benefit to our members. Billy Drake should also be thanked for his input. Make sure you collect your copy when you are next at Condado. plan the dates of your 2017 trips to Condado……. a wintry scene at the 2nd green, with the 3rd in the background………….. This week was the Christmas edition of the Apollo Air, and while we were expecting some no shows due to the overnight rain and threatening clouds, all the 37 entrants took part. 38 points was enough for Jan Bosch, who pipped Chris McAllister on countback. For a change I will use the report on the scoring from our new system, Handicap Master. There are many interesting reports available, so I will give more examples in the upcoming weeks. Jan looks happy with his trophy, presented by Santa…………. think Chris should have been sat on Santa’s knee… but politically incorrect……..
Kevin won the 2nd division…………..
and Edith was the best lady on the day……….. There will be no more qualifiers this year as the system will go live in January 2017, and the end of year review of handicaps have taken place this week. So some have got shots back, while others have come down! Queries to Chris McAllister (handicap secretary) or Neil Simpson (captain). It is good to see water filling all the lakes again, although still a long way to go on holes 4 and 5.
maybe a test for leaks?…..
Next week is a pairs betterball stableford. In two week’s time it is the Clover Christmas individual stableford, where there will be no 2€ sweep, but each player should bring a wrapped present (between 5€ – 10€). Everyone will be a winner, but Chris is presenting a very nice trophy for the overall champion. no, not a committee picture, the winners were Ken, Kev, Alicia and Chris…………..
Well, the summer has gone now and so nearly has 2016. We are waiting for the last 2 names to be added to our honours boards, and soon all this year’s major winners photos will be displayed at the side of the respective major trophies. Also thanks to Jeff Lightle who has sponsored another honours board – for holes-in-one. That should also be with us shortly. Our corner of the Clover will attract interest when Chris has finished changing the image of the Clover, with updated bright lighting and new sports photos on the walls. This week we had 39 players playing in teams of four, with 3 scores to count at every hole, although one team was let down and played as a 3. However, we have contingencies in place for this, and a ghost card was selected. It must have been a good choice, as the 3 man team finished 2nd! but not this week………. Dave Storey was closest – marked by the stake…………………. For those of you who like to plan ahead, I have added next year’s fixtures – you can find them under the ‘Fixtures’ tab. Remember those comprehension tests at school? I definitely prefer these obvious answers to those required by the teachers! Next week is the December Apollo Air individual stableford.